2013 brought forth many exciting and groundbreaking design trends; parallax scrolling, large photo backgrounds, the beloved flat design, and numerous ridiculous memes. Although many of these styles will continue to be seen throughout 2014, there are always new and (sometimes) improved emerging trends as well as beloved styles it’s just time to bid farewells to. And no, I’m not referring to wacky Comic Sans and that silly Chiller font. Expect to see a clever break from the hate-to-love Helvetica and an introduction to fresh typefaces that offer professionalism and character, no pun intended. This exciting approach may provide subtle redesigns to company websites that are not necessarily in dire need of a makeover but will surely benefit from a little spice. Many of the fonts, both serif and sans-serif, are most likely going to be simple but will differ in their heights, widths, and serifs (also known as tails). 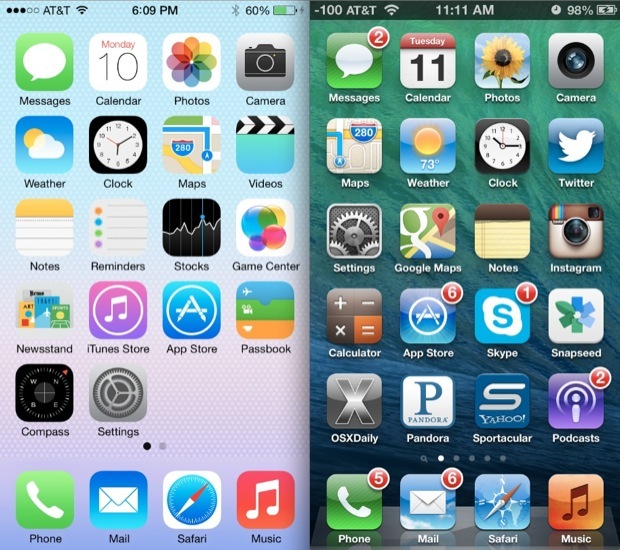 Although flat icons have been floating around the digital world for some time, Apple’s anticipated release of iOS 7 reignited interest, making it a front-runner for the most used style in 2014. Flat design eliminates the emulation of physical objects and coverts said objects into a simpler form of being. Users are so familiar with navigating in and around their site that they no longer need digital versions of an envelope or a trash can; they can now recognize these functions on a minimal, classy icon. Continuous scrolling has been used throughout a variety of websites this past year and is still being tested for its effectiveness vs. its drawbacks. This style provides web surfers with smooth navigation and helps ease the pain of waiting for pages to load and being hypnotized by spinning hourglass (oh yeah, took it back to the 90’s there). Since users essentially don’t have total control over clicking through pages when continuous scrolling is implemented, it is crucial for businesses to place their buzz items towards the top of a page rather than the middle or bottom. Studies have shown that traditional scrolling techniques do not always result in surfers clicking beyond the first page because they either believe the best links are displayed primarily or because they’re overwhelmed with the different link options. Infinite scrolling simply deceives people into browsing through more results. It was a fun trend that we all thoroughly enjoyed playing with. Ribbons have dominated the design world for the past few years, showing up in all mediums as a container for text. However, designers are now predicting an alternative to this favorite, especially after the iOS7 release. Whether it be this year or next, ribbons used in designs may be considered outdated and so 2012. The style made famous by Apple and has now been killed off by… Apple. Although this design existed prior to modern Apple software, its influential use throughout Apple operating systems, both desktop and mobile, contributed to the company’s recognition for user friendly interfaces. As I mentioned before, users no longer need the mental/visual aid skeuomorphism yields (i.e. using a visual of a trash can as an icon for your trash). A good chunk of the the digital world are experts with their devices and have unknowingly become optically trained to transition from style to style. Guilty. I’ve been told time and time again to ditch the rotation sliders and use static images on sites. Even though this design element continues to see interaction among web surfers, it may clash with the stripped down unity of flat designs and doesn’t seem to have a place when infinite scrolling dominates the design world. Sliding banners, you’ve been fun but you are the weakest link. Goodbye. If you’ve fallen in love with the boldness of ribbons and breathtaking artwork used for skeuomorphism, do not freight; these trends will not vanish overnight nor will they disappear permanently. Just don’t expect your graphic designer to incorporate them in your site this year- they may get snickered at. Do you have any design trends that you’re keeping your eye on? Let us know below!